SMMUSD is seeking an experienced leader and collaborative educator to be Principal at Franklin Elementary School. Serving 750 K-5 students, Franklin teachers provide exemplary instruction supporting each student's ability to achieve. Under professional direction of the Superintendent or designee, it is the role of the Elementary School Principal to serve as the chief administrative officer of an elementary school facility; to direct the formulation and implementation of operational procedures and practices; to plan, develop, and implement instructional objectives, and designs and implement procedures to evaluate instructional program effectiveness; to assist in the planning, development, and conduct of staff development and staff training programs; to plan, develop, and carry out public and community relations programs and activities; and to do other related functions as directed. 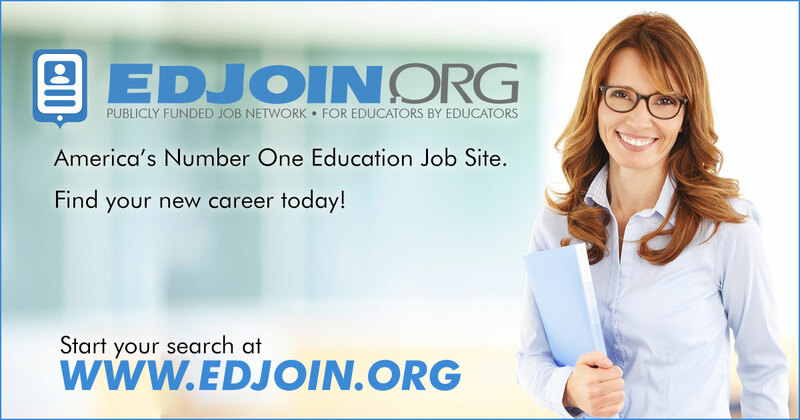 This position classification requires subject matter expertise in educational programs, and curriculum and instruction strategies. Directly related administrative experience is necessary to assure success in an elementary school leadership role. The job requires the ability to analyze and offer alternative problem solutions. Decisions are made by the incumbent that have a critical impact on the goals, organization and administration of educational programs and services of the organization. The position classification has supervisory responsibility for the planning, assigning, reviewing, abd evaluating the quality and quantity of work of professionals, technical and clerical employees. Frequently meets with teachers, School Psychologists and other educational personnel to influence, motivate and monitor the result objectives of the school operation. This is a sedentary position classification that performs light work, but does require walking and standing for extended periods. The job also requires the accurate perceiving of sound, near and far vision, depth perception, handling and working with educational materials and objects, and providing oral information and direction. Serves as the instructional leader and operational manager of an elementary school facility. Plans, designs, and conducts follow-through strategies pertaining to curriculum development, and the implementation of instructional programs and activities designed to meet the unique needs of students and the educational community. Works closely with the school staff and school site council in identifying educational and instructional needs, and in developing long- and short-range plans to improve the instructional process. Plans, develops, organizes, conducts, and maintains performance evaluation information systems designed to ensure that site goals and objectives are achieved, and that all levels of staff adhere to District, state, and national educational standards and goals. Plans, develops, organizes, and administers support systems which provide optimal educational opportunities for elementary age pupils. Reviews, evaluates, requisitions, purchases, and allocates instructional supplies, materials, and equipment. Confers and consults with school and District personnel, parents, and pupils pertaining to educational and behavior management problems and alternative problem solutions. Directs, supervises, observes, assesses, and evaluates site personnel performance; establishes and maintains a positive team building and team management system. Confers with instructional and support personnel in developing alternative problem solutions to unusual or unforeseen problems. Participates in budget planning activities, and develops expenditure review and control procedures to ensure a cost beneficial and cost effective operational mode. Assumes a leadership role in the functions and activities of site and District advisory committees and groups. Assists the educational community in understanding the site and District goals and objectives, and the strategies utilized for achieving them. Participates in the planning, development, implementation, interpretation, and administration of policies, rules and regulations, and negotiated employee agreements. Supervises, directs, and coordinates the assignment of instructional personnel and student classroom assignments. Establishes administrative review procedures to ensure maximum utilization of monetary and human resources, and to ensure the implementation of result priorities. Coordinates student and family assistance programs with local social service and youth service agencies. Plans, develops, and provides management reports pertaining to the functions, activities, and general educational climate of the school facility. Confers with site personnel in resolving rights disputes which may include the conduct of formal hearings. Assists in the conduct of effective and efficient personnel management systems, including the recruitment, selection, retention, and separation of personnel. May be responsible for managing, monitoring, and evaluating specially funded programs to ensure compliance with funding agency standards and guidelines. 7. Human relations strategies, conflict resolution strategies, and team building principles and techniques. 5. Plan, develop, and maintain effective organizational and community relationships. Five years of successful teaching experience, or the successful completion of a comprehensive administrative internship training program. Equivalent to the completion of a master of arts or higher degree in educational administration, instructional technology, or a closely related field. Possession of a valid California credential authorizing service as an elementary school principal. 1. EdJoin Application 2. Resume 3. Letter of Interest 4. Three (3) Recent Letters of Recommendation Please ensure that that all required documents are attached to your EdJoin file. Located in Santa Monica, Franklin Elementary provides a rigorous, standards-based, instructional program which is geared toward enabling all students to meet the challenges of the future with confidence and compassion. Teachers and staff nurture intellectual curiosity, collaborative and critical thinking, and effective communication. All members of the community are encouraged to contribute to the support of student learning and to act as partners in the education of our children. Students are guided in the exploration of their intellectual, artistic, technological, physical, social, and character development. Apply if you are eager to join a collaborative and diverse team, and to serve as the lead learner for a dynamic school community. Range 63 of the SMMUSD Management Salary Schedule with an annual salary ranging from $100,375 to $122,007; additional stipend of $1,946 for MA and $3,650 for Ed.D.